These tiny creatures, sometimes called water bears, can survive radiation, freezing, extreme dehydration and even the vacuum of space. Researchers have now decoded the DNA of two species of tardigrade and uncovered the genes that allow them to be revived after desiccation. The study has been published in the journal, PLOS Biology. Just a millimetre or less in size, tardigrades are believed to be the toughest creatures on Earth. A recent study found that they could survive almost any cosmic disaster that could hit the planet. Tardigrades are often found in locations that dry out such as in moss and in ponds. Over time they have acquired the ability to survive extreme dehydration and spring back to life years later in the presence of water. In this new paper, scientists found that the key to their survival is genetic. Dry conditions trigger some of the creature's genes to produce proteins which replace missing water in their cells. Once water is available again it refills the cells dissolving the proteins. The researchers say understanding this innate survival ability of tardigrades could have benefits for humans, such as allowing live vaccines to be posted around the world and stored without refrigeration. Co-author Professor Mark Blaxter from the University of Edinburgh said: "Tardigrades, with their amazing abilities, can offer us some new ways of dealing with real world problems like transporting vaccines." Decoding the DNA blueprint of these hardy creatures has also allowed the team to make progress on a long-standing controversy. Are tardigrades more closely allied to insects, spiders and their kin or to roundworms? Their curious appearance, with eight stubby legs and claws, seems to be more insect-like than worm-like but analyses of their genetics says otherwise. HOX genes control head and tail development in the embryo, and the positioning of the limbs. 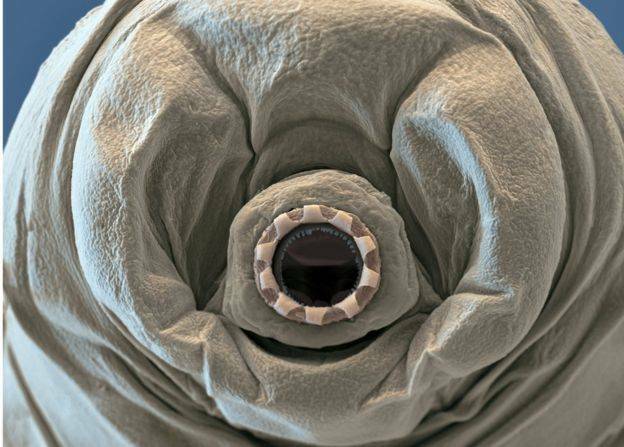 Most animals have ten HOX genes but tardigrades have only five, and most roundworms are lacking the same five. It's unlikely that this is a coincidence and suggests that tardigrades are more closely related to worms. "This was a real surprise which we weren't expecting," said Professor Blaxter. "I have been fascinated by these tiny, endearing animals for two decades. It is wonderful to finally have their true genomes, and to begin to understand them." 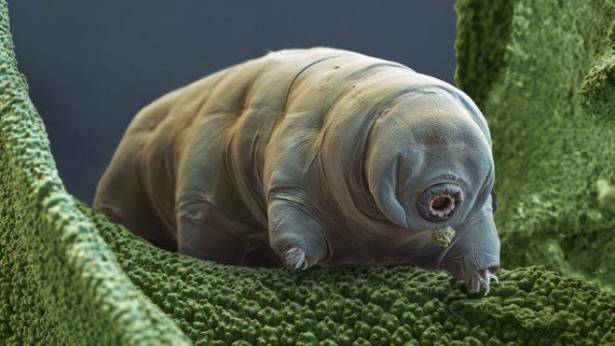 The scientists also discovered a different set of proteins which can protect tardigrade DNA, perhaps explaining how the creatures can survive radiation.